Kusto Query Language is available for executing queries in the Metrics tab. The built-in intellisense which proposes query term completion, assists in query formulation. You run the query to visualize the data. 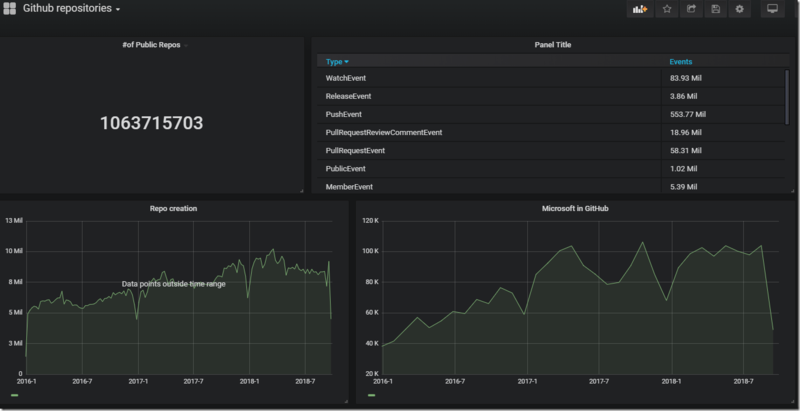 For more details on visualizing data from Azure Data Explorer in Grafana please visit our documentation, “Visualize data from Azure Data Explorer in Grafana.” It depicts the step-by-step process needed to set up Azure Data Explorer as a data source for Grafana, and then visualizes data from a sample cluster. 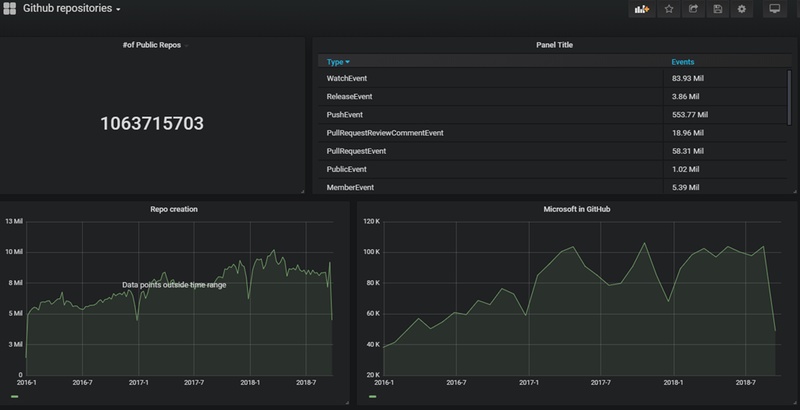 In this blog, we depict the benefits of using Grafana for building dashboards on top of your Azure Data Explorer datasets. 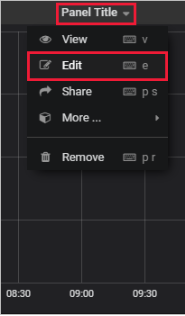 Additional connectors and plugins to analytics tools and services will be added in the weeks to come. Stay tuned for more updates.